Alpro make products from the goodness of the whole soya bean, making sure that they are prepared and made with care and respect, for people and the planet. The soya used is non GM and grown naturally which benefits a more sustainable attitude to farming. 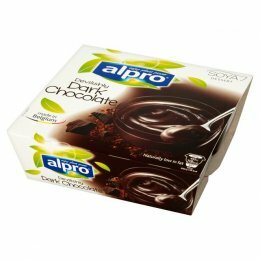 As well as this, Alpro recycles as much as possible in the production and manufacturing of their products; the water used is purified, pulp and peel is used as animal feed and Tetra Pak cartons are used as packaging.